Posted on November 24, 2017 at 1:09 am. 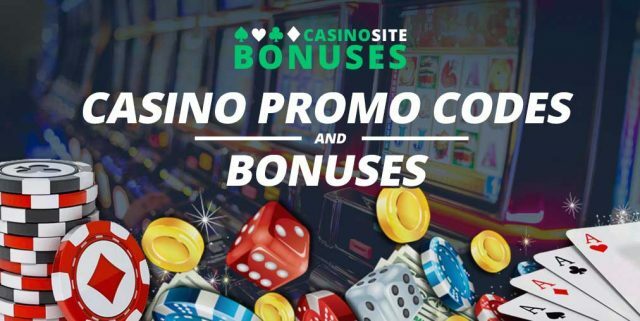 It is easy to miss some of the promotions floating around at online casinos, so we’ve made it easier by compiling the best of the best below. From Black Friday promotions to ongoing offers, we have included a bit of everything for the week ending November 24. While Black Friday is synonymous with some of the biggest deals on the web, online casinos are known to bust out a few offers, too. Slots Million online casino is giving new players the chance to claim a 50 percent match deposit bonus up until November 24 at 23:59 (in your local time zone). Sign up to Slots Million, make a real money deposit (you can also claim the welcome bonus), and then make a second deposit, entering the promo code ‘BLACKF’ as you fund your account. You can claim a 50 percent match deposit bonus up to $/£/€100 when making a deposit of at least $/£/€20. Only players from the UK, New Zealand, Finland, Sweden, Norway, Germany, Iceland, Ireland, Netherlands, Luxembourg, South Africa, Switzerland and Austria can claim the bonus, which is subject to a 35x wagering requirement. You can find out more about the Slots Million Black Friday deal here. This week, Rizk online casino has been giving its players daily Black Friday deals, but the final offer is the best. Online casino players can log into Rizk online casino and claim 50 extra spins. Rizk will credit 10 per day over the next five days to use on your favourite slot machines. To qualify, you need to have deposited at the online casino before last Monday. If you missed the cutoff, and you’re new to the online casino, there’s still a promo offer you can claim. Sign up, and you can receive a 100 percent match deposit bonus, up to €/$100, plus 50 extra spins. Rizk will also give you a free spin on the Wheel of Rizk where you can win Super and Mega Spins, among other wager free prizes. Check out what else Rizk online casino has to offer here. Each week, Mucho Vegas picks out an online casino game from its catalogue and gives players the chance to score 20 free spins. The fiesta-loving online casino team has chosen Tiger Heart by GameArt this week, and you can claim 20 free spins to use on the game on Saturday, just by playing the slot. The real money slot game has all the standard symbols, plus Wilds, Free Spins and special Stacked symbols. Wager at least €/$100 on the 5 reel and 10 payline slot before Friday at 23:59 to receive the 20 free spins, credited to your account on Saturday morning. If you missed the cutoff, you can sign up at the online casino and claim a €/$1500 welcome bonus over seven deposits. You will also be ready for next week’s Game of the Week promo at Mucho Vegas. New players at Mongoose online casino are in luck as the gambling site recently revamped its welcome bonus. Instead of the $3 no deposit required bonus, players can create an account and receive 20 free spins. Mongoose online casino is the sister casino to Emu Casino, and it features a jam-packed catalogue including pokies, table games, speciality games, and more. The no-deposit bonus is open to players from Australia, Canada, Sweden, Norway, Finland and New Zealand and you can use the 20 free spins on any slot machine, excluding those under the jackpot menu. Note that the winnings need to be wagered 40 times before you can make a withdrawal, and the maximum winnings are capped at $20. Once you have used your free spins, you can opt-in for the $200 welcome bonus. Find out more about the Mongoose welcome bonus here. Rizk online casino has a brand new bonus for winners and losers. The Win-Win chip will boost your winnings or help you recover from any losses you may have incurred while playing at the online casino. The bonus is for registered players only, and you will be contacted by the online casino via email if Captain Rizk and his sidekick think you deserve the bonus. If you’re lucky enough to receive an email featuring the Win-Win Chip bonus, you can then activate it to receive either 60 or 120 minutes of play time where you can reap the rewards or recover your losses. During the activated game period, Rizk will give you 10 percent of winnings or 20 percent of your losses. You’ll need to keep an eye on the timer located in the left-hand corner, and once it stops, your bonus will be calculated and credited to your account under the Rewards section. If you aren’t a member, sign up at the online casino, create an account, claim the welcome bonus and keep an eye on your email for the Win-Win Chip bonus from Rizk. If you’re from the United States and prefer poker to blackjack, check out BetOnline’s Bad Beat Jackpot, which has soared past the $700,000 mark. To qualify, head to the poker room and start playing at the Bad Beat tables. You will need a losing hand of four of a kind Jacks or higher to crack the jackpot, which will be split between every player at the table. The best part is, you will still score a percentage of the pot if someone else is dealt a bad beat. The tables can be found under the Bad Beat Jackpot tag and the jackpot will continue to grow until someone wins it. Find out more about the Bad Beat Jackpot at BetOnline here.